A Modern Mid Terrace 4 Bed Family House in the Heart of the Village. 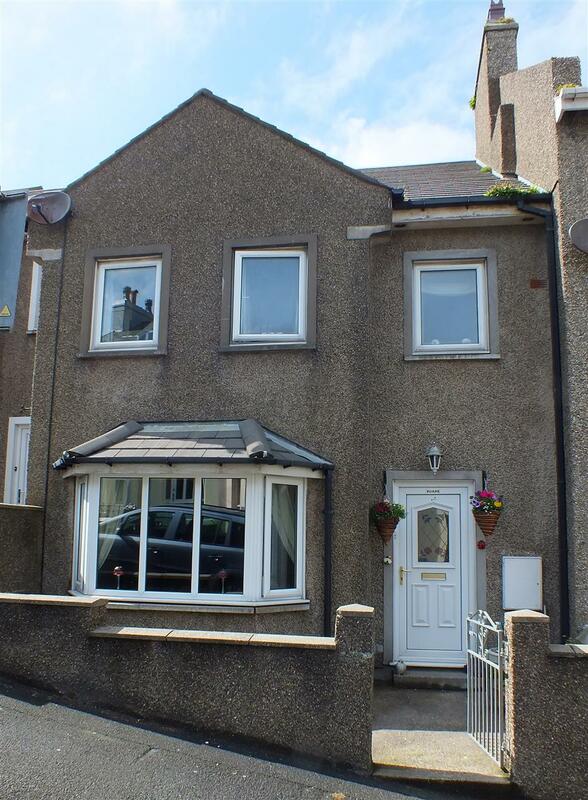 Walking Distance to Shops, Beach, Primary School & Restaurants. 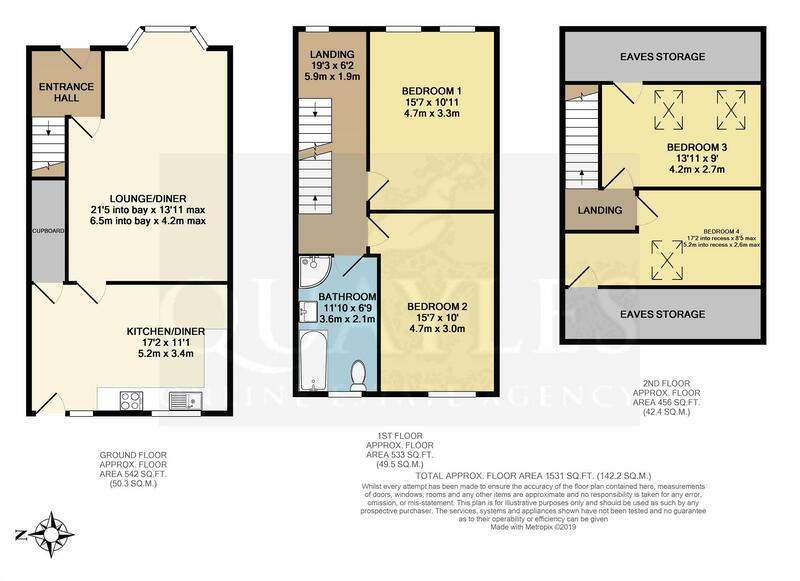 Exceptionally Spacious Accommodation & Modern Cavity Construction. Briefly Comprising 21'5 Lounge/Dining Room & Large Kitchen/Diner. 1st Floor 2 Excellent Double Bedrooms, 1 with Fitted Furniture. Large Fully Tiled Family Bathroom with a Modern White 4 Piece Suite. 2nd Floor 2 Further Double Bedrooms & Potential for Shower Room. Easily Accessible Eaves Storage Areas. Oil Fired Central Heating & uPVC Windows with Timber Framed 'Velux's'. Low Maintenance Front & Enclosed Rear Garden. Communal Block Paved Area to the Rear Providing 2 Parking Spaces. From the Four Roads roundabout in Port Erin take the exit marked Port St Mary, continuing over the railway crossing past the primary school. Victoria Road will be found a short distance along on the right hand side, ideally located with good access to the beach and village shops. Number 14 will be found towards the top on the right hand side, being clearly numbered and one of three similar modern terraced houses. Stairs lead off to the upper floors. Electric consumer unit. Door to the lounge. An exceptionally spacious room with a large uPVC bay window to the front. Featuring a traditionally styled electric fire with a brushed steel surround and polished hearth. Coved ceiling. Wall lights. TV and satellite points. A naturally bright and spacious room fitted with a good range of white contour fronted units together with drawers and built in wine racks. Laminate work surfaces incorporate a single drainer sink with mixer tap. Built in electric double oven and inset 4 ring gas hob with a filter hood over. Space for an American style fridge. Space for dishwasher. Oil fired boiler. Background tiling. Two uPVC double glazed windows and a half glazed uPVC door. Wall mounting for a TV. Ceiling spotlights. Space for a table and chairs. Deep set cupboard with light and plumbing for a washing machine. Telephone point. Stairs continue to the second floor. Front uPVC window. Power point. Smoke detector. An exceptionally spacious, fully tiled room fitted with a contemporary styled white suite comprising panelled bath, vanity unit with top mounted basin, WC with concealed cistern and a glazed corner enclosure housing a fully plumbed shower. Mirror fronted vanity unit. Chrome ladder style towel warmer. Easy care ceiling with inset down lights. Obscure glazed uPVC window. Shaver point. Tiled floor. A superb double room with ample space for a super king size bed if required. A uPVC window enjoys pleasant rear facing views across the playing fields towards Bradda. A superb room with two uPVC windows to the front. Fitted with a range of bedroom furniture comprising wardrobes, overhead lockers, bedside units, drawers and a dressing table. TV point. Dimmer lighting control. High angled ceiling to the rear with a double glazed timber framed 'Velux' style window. Television point. A deep recess to the rear (1.45m (4'9") x 1.98m (6'6") has potential to become a shower room subject to building regulations. Access from this area to eaves storage areas. A double room with a high angled ceiling to the front with two timber framed 'Velux' windows. Access to eaves storage. TV point. Ample space for wardrobes etc. Walled garden with low maintenance gravelled area to one side. A fenced area which has been gravelled for ease of maintenance. Garden shed. Oil tank. External light. Gated access to the parking area. A shared, block paved area which is accessed from Cronk Road and provides 2 parking spaces to each of the three adjacent properties including number 14.